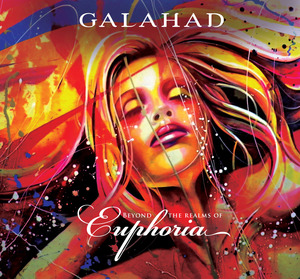 The second of Galahad's two album releases this year, Beyond The Realms Of Euphoria is a wonderful blend of neo-prog fused in parts with techno dance rhythms, crunching guitar riffs and even, at one stage, what sounds close to an Opeth style death growl! It is a wonderfully progressive album but the introduction of dance synth beats into some songs seems to have upset reviewers who seem to think that progressive rock should regurgitate the same sounds as were produced in the seventies or eighties. Fools. I'm not sure if it is a conscious decision, I suspect not, but 2012 Galahad seem to be channelling Absolution-era Muse, which given Muse are now channelling Queen is great if you miss Muse being Muse! ...And Secret Worlds and Guardian Angel are two stand out tracks on an album of stand out tracks. This album probably warrants being higher than number six but there was some stiff competition when it came to picking a top five! Any writer of prog, who bemoans a band expanding their influence and style should be tarred, feathered and made to listen to the crazy frog until nature takes it's course. Nice little write up. This was probably my album of the year. So many different styles and such creativity. To me, this album is what prog is all about.